She was only shown in 9 shows with 28 points 5 Major wins for her Grand Champion Title!!! 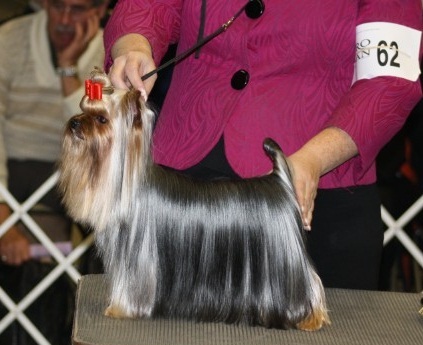 I may say she was the first Yorkshire Terrier in Thailand who could win that! !